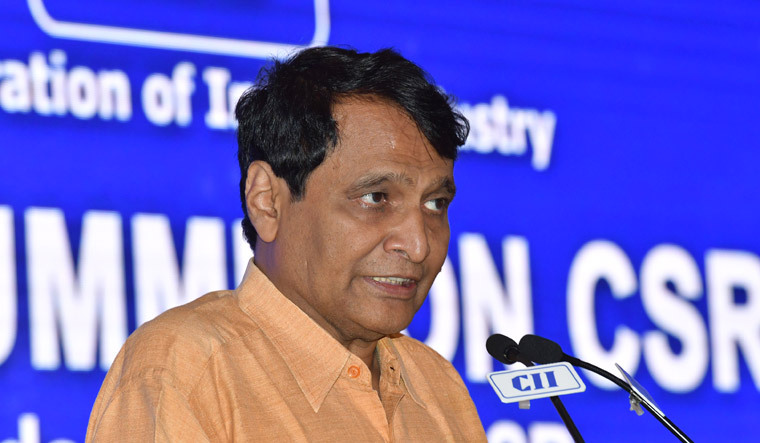 Union Minister For Commerce And Industry Suresh Prabhu said the identified “champion services sectors” included Information Technology & Information Technology enabled Services (IT & ITeS), Tourism and Hospitality Services, Medical Value Travel, Transport and Logistics Services, Accounting and Finance Services, Audio Visual Services, Legal Services, Communication Services, Construction and Related Engineering Services, Environmental Services, Financial Services and Education Services. Union Law Minister Ravi Shankar Prasad, who has held the portfolio of the fastest growing IT and ITES sectors, pointed out that India was becoming a global hub, with revenue from IT and ITES showing a potential that even they had not foreseen. "About 4,000 digital transactions were what we had when we launched the BHIM app. Now, there are 8 lakh transactions a day," he said. A dedicated fund of Rs 5,000 crore will support initiatives for sectoral action plans of the champion sectors. The Cabinet has also directed the ministries/departments concerned with these sectors to utilise the available draft sectoral plans to finalise and implement the action plans for the identified champion services sectors. The ministries/departments shall finalise the implementation timelines along with a monitoring mechanism to monitor implementation under the overall guidance of the Committee of Secretaries (CoS) under Cabinet Secretary.